Mozilla, creator of the popular Firefox browser, is jumping into the VR game. They’ve created a browser exclusively for VR headsets. It’s called Firefox Reality and Mozilla has designed it from the ground up. The browser is still in its infancy as Firefox Reality is still being populated with VR content but so far users can check out things like a 3d pirate tower, 360 panorama of Waikiki, or Mr. Nom Nom which is a web-based VR game about a tasty donut. 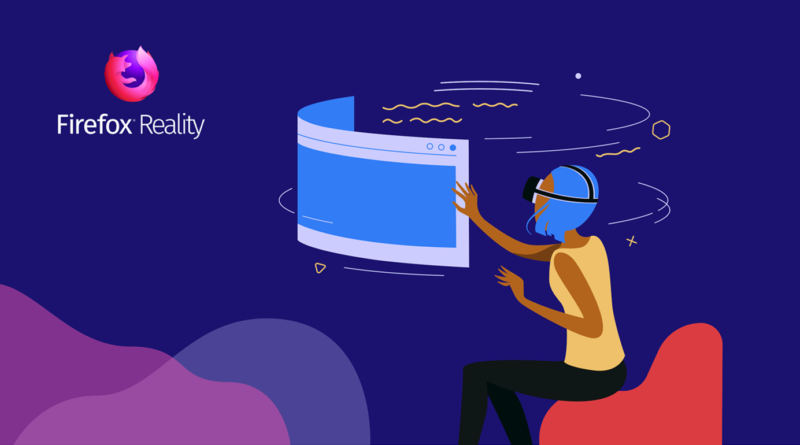 The current content feed features mostly quality, family-friendly content that supports the WebVR API, so it’s easy to view on multiple devices. The browser was built for speed as it uses Mozilla’s new Quantum engine. Users are able to seamlessly switch between 2D and 3d environments. Games, videos, and virtual worlds all can be accessed directly from home screen. Users can search for content by text or voice using the microphone in their VR headset. The browser can also be resized and moved around so the user can customize their viewing experience. Viveport, Oculus, and Daydream each have their own separate downloads. “We spent a lot of time talking to early VR headset owners. We asked questions like: “What is missing?” “Do you love your device?” And “If not, why?” The feedback we heard the most was that users were having a hard time finding new games and experiences. This is why we built a feed of amazing content into the home screen of Firefox Reality.” said Andre Vrignaud, head of mixed reality platform strategy at Mozilla. While still in its infancy, Firefox Reality looks promising. Along with fixing bugs and evaluating user feedback, the company is actively looking for content from creators and hopes to soon add support for bookmarks, 360 videos, and user accounts. Check out our articles on police using virtual reality to patrol cities and VR that makes your food taste different.